Most people who do a PhD and postdoctoral work in the biomedical sciences do not end up as principal investigators in a research lab. Despite this, graduate courses and postdoctoral fellowships tend to focus almost exclusively on training for bench science rather than other career paths. 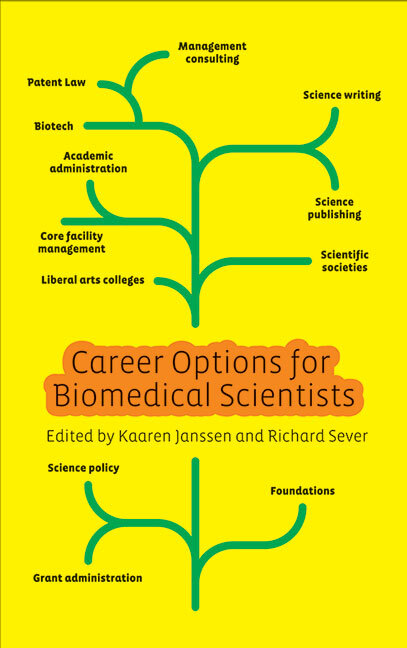 This book plugs the gap by providing information about a wide variety of different careers that individuals with a PhD in the life sciences can pursue. Covering everything from science writing and grant administration to patent law and management consultancy, the book includes firsthand accounts of what the jobs are like, the skills required, and advice on how to get a foot in the door. It will be a valuable resource for all life scientists considering their career options and laboratory heads who want to give career advice to their students and postdocs. 12 Medical Communications: The Write Career Path for You?